When choosing the audiovisual components of a control room, conference room, etc., we must consider several key aspects in order to end up with quality technology and the right features. What do we need? 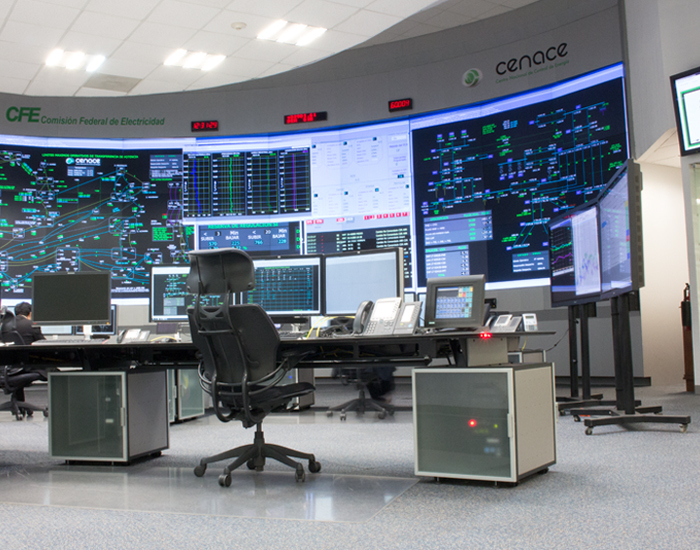 Are we going to work in a 24/7 control center? Will the screens have defined working times and will the equipment power down to rest? Do we have natural light in the facilities? What will be the real purpose of the screens? Visualizing permanent information, sharing new data? How much space is available to us? If we are looking for screens for a small or medium size control room, this is the best option. These LCD screens have a shorter life cycle than their LED counterparts and loose image quality faster, which is why they are not recommended for 24/7 operation, they need rest. Barco, a multinational company and a reference when it comes to audiovisual solutions, offers a wide range of mural LED solutions. Their 46” and 55” panels feature super quiet fans and high performance temperature sensors which help prolong the equipment’s life cycle. In addition, their external power source, without brightness loss, reduces maintenance costs and features an automatic color and brightness balance system. The OBLX series offers a self-supporting mural LCD structure that can be place anywhere the client needs to, without the need of an actual wall. Their modular solutions support vertical formats (3×1) as well as horizontal formats (2×2). If we are looking to complete a medium size to large control room, we must consider solutions that go a step further. We need the latest technology to provide the best quality to screens that will have to operate 24 hours a day, 365 days a week, with no interruptions. Barco systems include a new liquid cooling system for the screens, which eliminates fans and doubles their life cycle. Their LED technology reduces consumption up to 30% when compared to similar products. Another advantage is that they feature a top quality automatic color and brightness balance system, the Sense 5 system. With their 45 cm depth, they adapt easily to the space and the OL series is made from recycled products. At GESAB we have already explained the characteristics of the new Laser Video Wall that will be present in the upcoming control rooms as a fundamental tool within them. Probably one of its main characteristics is that it is perfectly compatible with natural light, for that reason, we will no longer need to be in dark rooms or fully illuminated ones, which means energy savings and more work quality for operators. Brightness and color levels keep the best quality and are balanced automatically and continuously by the Sense X system in order to guarantee the best possible experience. Its operation without color wheel improves its capacity and the system allows for the remote alignment of the cubes without the need to open the modules. 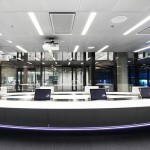 In addition, Barco guarantees 11 of uninterrupted activity on the video wall, an extra of safety for the correct operation of the control center. Each room requires equipment with specific technical characteristics, and their daily work, space and lighting, among other aspects, will be fundamental when deciding which equipment series to implement. For these cases, the perfect way to choose the audiovisual equipment is with the help of a professional who is familiar with client’s needs and is able to offer the best coverage in the market.